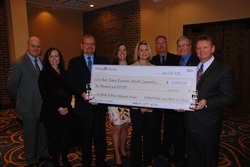 Economic Growth Corporation received the Jon Linfield Award from the Illinois Housing Development Authority for its rural affordable housing development Lawrence Lofts, a 20-unit residential development located in downtown Sterling, IL. 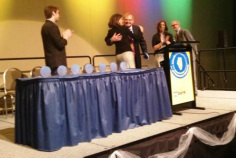 GROWTH was one of three award winners throughout the state of Illinois. 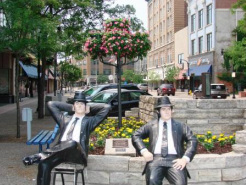 The Jon Linfield Award represents rural/small cities/ non-metro areas in the state. 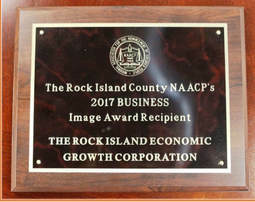 Economic Growth Corporation received the 2017 Business Image Award from the Rock Island County NAACP. The award recognizes individuals or groups who promote social justice through creative endeavors. 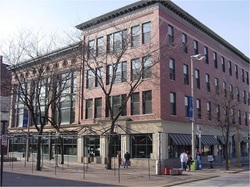 Economic Growth Corporation received a historic preservation award from The Rock Island County Historic Preservation Society for its historic preservation efforts of Star Block, a $2 million rehabilitation of a 145-year old building in downtown Rock Island. 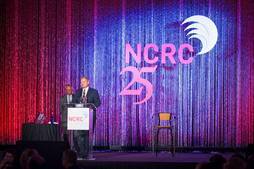 Renaissance Rock Island receives National James Leach Award from the National Community Reinvestment Coalition. The national award recognizes the most outstanding rural non-profit organization in the country that best promotes fair and equal access to credit and capital and/or contributes the most in its community toward promoting wealth building in traditionally underserved populations. Brian Hollenback Receives Federal Home Loan Bank of Chicago Community First Pioneer Award for his work leading the organization's revitalization's efforts (shared with Modern Woodmen Bank). 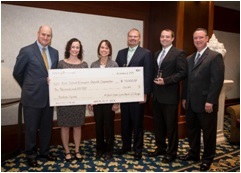 Federal Home Loan Bank of Chicago's Community First Partnership Award in the Program / Project Category for the Jackson Square project (shared with Modern Woodmen Bank). 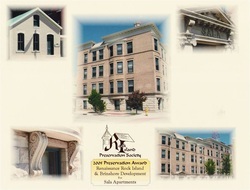 Rock Island Preservation Society recognized GROWTH with two Historic Preservation Awards and two Certificates of Recognition for preservation work done at GROWTH Neighborhood Stabilization Program (NSP) Homes 544 23rd Street, 1603 25th Street, 1209 21st Street, and 905 20th Street. Rock Island Preservation Society Historic Preservation Award for Jackson Square. 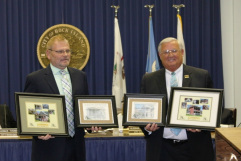 Certificates of Appreciation from the Quad Cities Riverfront Council received for Jackson Square and McKesson Lofts. Wyvetter H. Younge Illinois Affordable Housing Award for Jackson Square; the award was in recognition of an excellent and innovative development in a metropolitan area outside Chicago. Mark W. Schwiebert Sustainability Leadership Award for outstanding leadership in the area of green or sustainable initiatives. 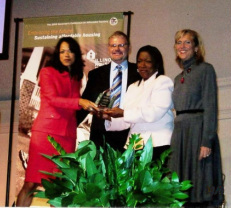 Wyvetter H. Younge Illinois Affordable Housing Award for Douglas Park Place; the award was in recognition of an excellent and innovative development in a metropolitan area outside Chicago. Eddy Award for Revitalization received from River Action for Jackson Square. Rock Island Preservation Society Preservation Award for Sala Flats. 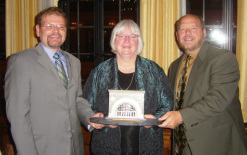 Richard H. Driehaus Foundation Preservation Award received for Outstanding Rehabilitation for Sala Flats redevelopment. 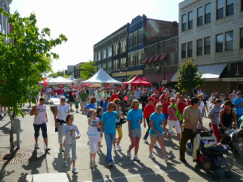 Lieutenant Governor's Award for Excellence in Downtown Revitalization was presented to GROWTH for its grassroots downtown development via the Illinois Main Street program. Illinois Main Street awards for Downtown Promotion was presented to GROWTH for promotion of new downtown housing and events via the Illinois Main Street program. 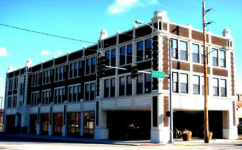 Rock Island Preservation Society Preservation Award for Renaissance Lofts. 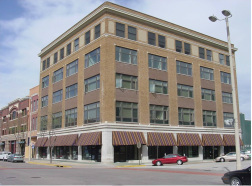 Rock Island Preservation Society Preservation Award for Goldman Lofts.